We are holding our annual retreat focusing on meditation and spiritual practice in October on Friday 19 – Sunday 21. If you have attended a Jangama course you are very welcome to come for either one day (Saturday 20th) or the whole weekend (19,20,21). 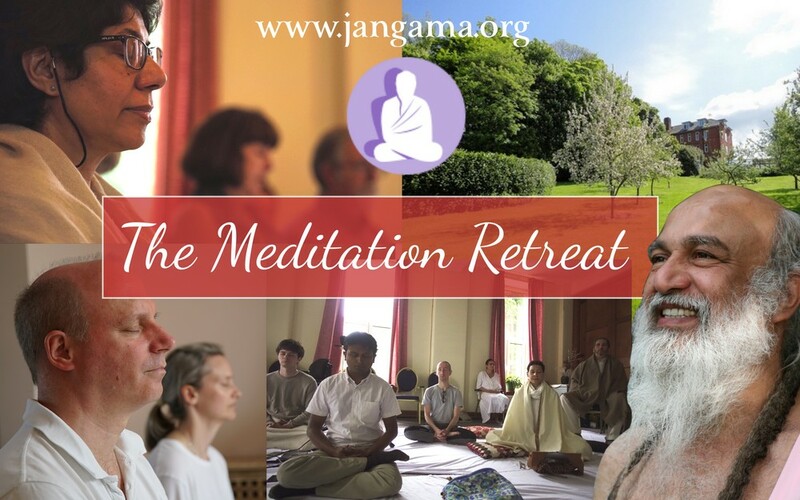 This retreat is a wonderful opportunity to withdraw from the routine of daily life, to focus fully on meditation practice in a conducive atmosphere, amongst like-minded people and in a beautiful countryside. This is also a very rare and precious opportunity to receive direct guidance from Babaji live via internet conference, who has attained the ultimate in spiritual practice, Realisation. Question and answer sessions with Babaji give a chance for spiritual doubts to be cleared. Those who have attended in previous years will know how uplifting and inspiring these sessions are. There are a variety of activities so you can create a schedule of activities to suit your needs and abilities. 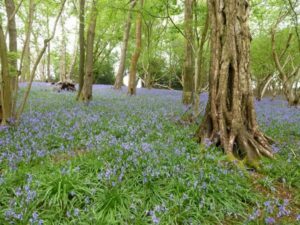 Video of some testimonials from a previous Cold Ash Retreat. Please note that this is a silent retreat. This means that all talk will be kept to a minimum, only speaking when necessary. This can enable us to dwell in the silence between the meditations, prolonging and deepening the purifying effect on the mind. Group meditations will be scheduled throughout the day in the main room. Videos of past talks and question/answer sessions from Babaji will be shown in a separate room. A reading room will be available with various books about meditation. 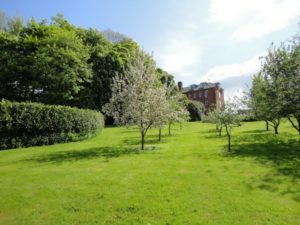 The venue is surrounded by beautiful countryside, providing an opportunity for walks. You are welcome to come for the whole weekend retreat, or just one day. Please note that this retreat is suitable only for adults. Cold Ash Centre is situated in the beautiful countryside of Berkshire, near Thatcham, easily accessible from the M4. It is a place of peace and tranquility and is surrounded by woodlands and extensive fields. It is run by a Community of Franciscan sisters. Contact us before booking the train and we will arrange to collect you from the station, and return you at the end. All rooms are single, not en-suite and will be allocated on a ‘first come, first served’ basis – based on when a completed form and payment is received. Please let us know of any special dietary needs when booking. A single room (not en-suite) for the weekend (Friday 5pm to Sunday 3pm) including all meals is £180.00. The cost for one day (Saturday) is £60.00. Babaji’s Mission never charges for spiritual instruction – the cost covers only retreat expenses. Payment can be made by Bank Transfer, Cheques, Credit/debit card or PayPal.